Use this feature if you're ever wondering what exactly it is that your students see on SchooLinks! From the dashboard, click the Demo as Student button in the top navigation bar. Choose the school and grade you wish to demo the student experience for, click Continue. 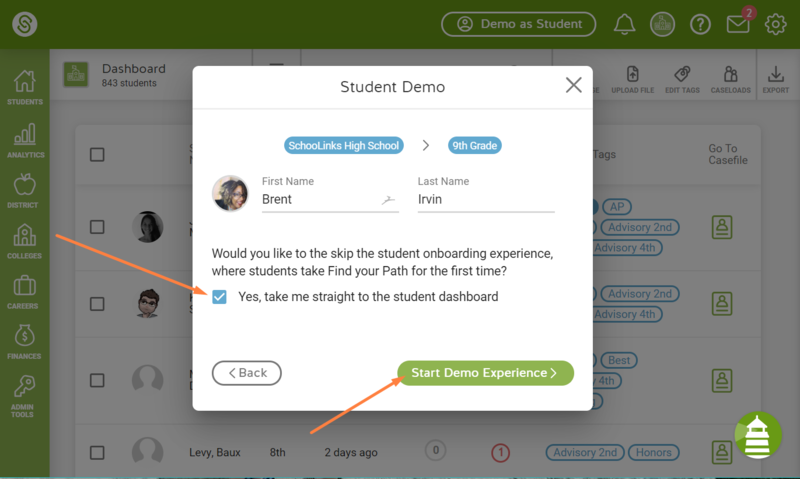 If you want to skip the Onboarding experience (you can read more about student onboarding here), click the box next to "Yes, take me straight to the student dashboard. 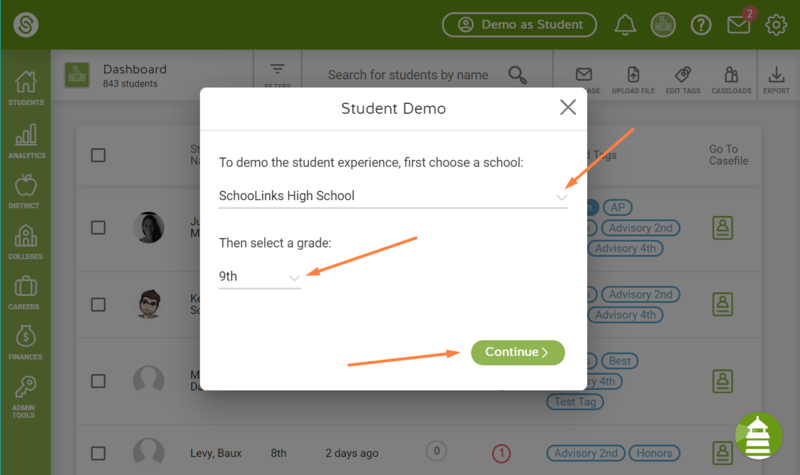 To learn how to switch student demo users, go here. To learn how to exit student demo experience, go here.